Much has been reported about Singapore Airlines (“SIA”) mistakenly charging economy rates for around 900 business-class seats due to a computer input error. Yesterday, SIA said that it would honour those tickets at economy rates, reversing its previous position that it would not, and closing the episode on a note of goodwill. 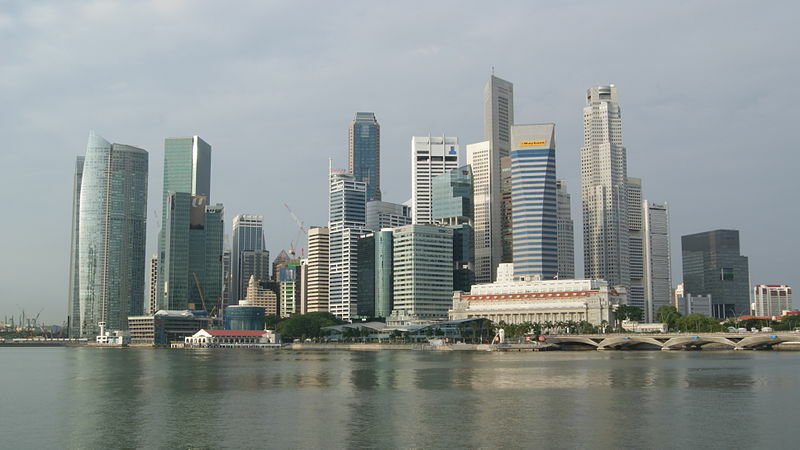 This blog entry explores the legal analysis behind the episode on the assumption that Singapore contract law applies, so as to maintain its general relevance to a Singaporean audience and its specific application to online retailers concerned about making similar pricing errors. Of course, the analysis would differ if some other foreign law or international convention governed the fact pattern. The discussion below is also based on publicly available facts, which may not be wholly complete. Was SIA liable for the cheaper fares? According to The Straits Times, SIA had loaded economy-class fares for business-class seats between Australia and London into a global booking system that travel agents use to sell tickets to their customers. And according to at least one report, the global booking system, known as the global distribution system, meant that anyone booking those fares, including both brick-and-mortar and online travel agents, would have received the incorrect fares from the airline and sold the affected business-class seats at what appeared to be very discounted prices. A few other facts are important. First, as reported by Channel News Asia, according to Australian travel agent Flight Centre, the error would not have been immediately obvious to a travel agent unless that agent read the fare rules and realised that the coding is for a economy-class seat, rather than a business-class seat. Secondly, as SIA’s spokeswoman had said last week, “[t]he airfare conditions for the fare clearly stated that it was only valid for economy-class travel”. Thirdly, the difference between the mistakenly discounted price and the actual price, while great, was not wholly unbelievable. A report from the Sydney Morning Herald said that tickets originally costing S$6,000 were sold for about S$3,000. 11. None of our agents, employees or representatives, nor those of any other carrier on which you may travel, has the authority to alter, modify or waive any provision contained in this ticket, these Conditions of Contract and our General Conditions of Carriage, or those of any other carrier on which you may travel. Your airline ticket is electronically stored in our system and is subject to the Conditions of Contract and General Conditions of Carriage, both of which can be found on www.singaporeair.com. Assuming that this clause was also present in the affected tickets, Clause 11 of SIA’s Conditions of Contract would also bind the passenger concerned. This means that the travel agent is generally not authorised to vary the terms of the ticket. And if the airfare conditions on the ticket expressly provide that the fare is only valid for economy-class travel, that should be the end of the matter: SIA is probably not legally obliged to honour the cheaper fares. There might be possible questions raised as to whether these terms were properly incorporated into the ticket, but courts have recognised the commercial impossibility of presenting all relevant terms and conditions in one document that the consumer ultimately reads. Accordingly, the fact that a passenger could not have read the Conditions of Contract on the ticket issued presents no legal problem. In any case, if SIA’s spokeswoman is correct that “[t]he airfare conditions for the fare clearly stated that it was only valid for economy-class travel”, then that itself should be sufficient. Thus, assuming that domestic contract law applied to the facts, SIA’s eventual decision to honour the cheaper rates was probably not legally mandated, but a move to preserve goodwill among its passengers. Are retailers generally liable for mistaken pricings? A broader question arising from this episode is whether retailers are generally liable for mistaken pricings, especially in online transactions. The Singapore courts have considered such a question before. In Chwee Kin Keong v Digilandmall.com Pte Ltd  2 SLR(R) 594 (“Digilandmall.com”), the plaintiffs concerned placed orders over the Internet for a total of 1,606 Hewlett Packard commercial laser printers on the defendant (seller’s) websites. These orders were placed at a price of S$66 each, whereas the actual price was S$3,854 each. In summary, for a total expenditure of S$105,996, the plaintiffs had procured laser printers with a total market value of S$6,189,524. This was due to the defendant’s mistake in posting the printers’ prices on its websites. The websites all operated on an automated system, with confirmation notes being dispatched to the plaintiffs within a few minutes of their respective orders. The defendant, like SIA’s initial response in this episode, informed affected customers that it would not be meeting any of the orders. Although many other customers were affected, only the six plaintiffs sued the defendant. At trial, the defendant argued that it had made a unilateral mistake that was known, or ought to have been known, to the plaintiffs. The plaintiffs, on the other hand, argued that they had not been aware of the defendant’s mistake when they placed their orders. The High Court found for the defendant, holding that held that although there had been concluded contracts between the plaintiffs and the defendant, these contracts had nevertheless been vitiated by the doctrine of unilateral mistake. Crucial to the court’s decision was the fact that there was such a great disparity in the mistaken and actual prices that the plaintiffs must have known that the defendant had made a mistake. Indeed, as the court said, if the price of a product was so absurdly low in relation to its known market value, it stood to reason that a reasonable man would harbour a real suspicion that the price might not be correct or that there might be some troubling underlying basis for such a pricing ( 2 SLR(R) 594 at ). Thus, given that there was no good explanation for an absurd price discrepancy, the court found that the plaintiffs’ conduct amounted to “snapping up” the printers. As such, even though a contract might have been formed between the parties, that contract was set aside by the doctrine of unilateral mistake, which is partly founded on the law’s objection to “unethical conduct tantamount to sharp practice” ( 2 SLR(R) 594 at ). What amounts to “snapping up” is a question of degree that will incorporate a spectrum of contextual factors: what is objectively and subjectively known, the magnitude of the transaction(s), the circumstances in which the orders are placed and whether any unusual factors are apparent. … It can however be observed that in “mass mistake” cases, even when there is no direct evidence as in these proceedings, the court could be prepared to pragmatically assume actual or deemed knowledge of the manifest mistake. Furthermore, there is presently another level of protection, not available at the time Digilandmall.com was decided, for retailers who put up mistaken prices. Section 14 of the Electronics Transaction Act (Cap 88, 2011 Rev Ed) now provides that an electronic communication proposing to conclude contracts and is addressed to the world at large is considered an invitation to make offers, not offers capable of immediate acceptance, unless it clearly indicates the intention of the party making the proposal to be bound in case of acceptance. This means that pricing errors would not be legal offers capable of forming a contract immediately upon a customer’s acceptance. Thus, if the amended** Electronics Transaction Act had been in effect when Digilandmall.com had been decided, the defendant’s mistaken prices on its websites may be construed as invitations to treat, not offers capable of immediate acceptance by the plaintiffs. Likewise, assuming that the Electronics Transactions Act, or its Australian equivalent, applied in the SIA episode, it may well be that the mistaken prices were mere invitations to treat, incapable of forming contracts upon the passenger’s purported acceptance. In the end, the SIA episode reminds us of the importance of reading agreements carefully. While the error was not immediately apparent even to travel agents, courts will generally still hold consumers to the general terms of contracts, unless the term concerned is particularly onerous. Consumers should also pay heed to the adage that “if something is too good to be true, it probably is not”. The law commonsensically gives effect to this by clamping down on “snapping up” conduct by consumers who are out to take advantage of mistaken pricings, when the consumer knew or should have known about the pricing error. Finally, while online retailers have the protection of contractual terms, the doctrine of unilateral mistake and the Electronics Transaction Act on their side when mistaken pricings occur, their greatest concern is probably in maintaining their reputation. Especially when the price discrepancy is not that great, such that the consumer cannot be accused of “snapping up”, the sway of public opinion, rather than the law, may be what compels the retailer who made a mistake to bear the consequences of its error. That, it seems, is exactly what happened in the SIA episode. ** In an earlier version of this entry, the word "amended" was omitted, which seems to suggest that the Electronic Transactions Act was not in force when Digilandmall.com was decided. This would be incorrect - there was an earlier version of the Act in force when Digilandmall.com was decided, but that did not contain the new section 14.